Available to buy since August, the Samsung Galaxy Tab S4 is arguably the best Android tablet that's currently on the market (at least in the US). With prices starting at $649, the Tab S4 is not exactly an affordable device, but that's because it packs plenty of high-end features. If you've been waiting for a proper moment to purchase this tablet, you should consider getting it now, as Samsung is offering a pretty cool gift with it. More exactly, for a limited time, the Galaxy Tab S4 comes with a free pair of AKG Y50BT On-Ear Bluetooth Headphones. This deal is valid only with purchases of Samsung's Galaxy Tab S4 Wi-Fi, so all LTE variants of the tablet are excluded. You can get either the Wi-Fi model with 64 GB of storage space (priced at $649.99), or the one with 256 GB of storage space (priced at $794.99). Once you add the Galaxy Tab S4 Wi-Fi to your cart, the free wireless headphones will be automatically added to the order. The deal is available only on Samsung's official US website and you can find it by visiting this link. In case you're wondering, Samsung does not say when the offer ends. The AKG Y50BT On-Ear Bluetooth Headphones that come at no extra cost with the Galaxy Tab S4 normally cost $180. And while they're currently sold for just $49.99, they certainly represent a nice bonus, featuring high-quality sound and over 20 hours of battery life. 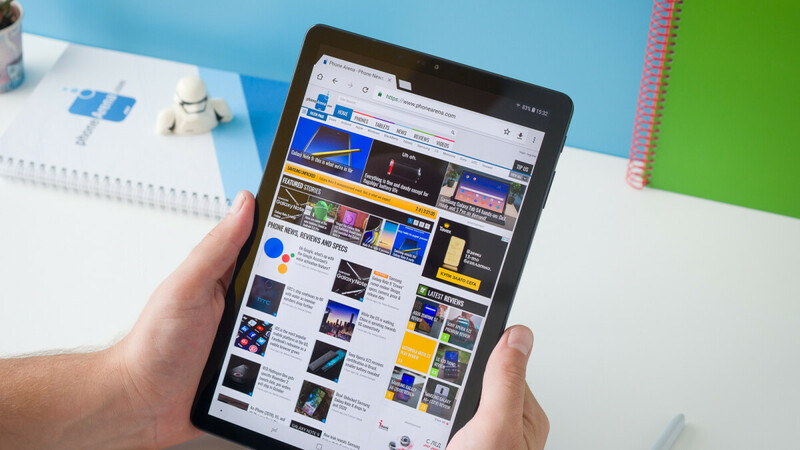 As for the tablet itself, you can take a closer look at it and its capabilities in our Samsung Galaxy Tab S4 review. Lmao i literally bought it before this deal. Why? The galaxy tab s4 is very damn good. Just ignore him, he is just a idiot. Yes please stop making ARM tablets. They are boring and cost to much considering you can get a Windows PC for the same price with more power, install Bluestacks and run all your Android apps from it. I agree sort of, but i still bought it even with 2 custom gaming pcs. I personally think they are not boring though and the screen on the tab s4 is just too nice. Cahback is always much sweeter than gifts. Waiting for it to be released here! It's frustrating that a product that has been on the market for 2+ months, hasn't been released by Samsung in my country, where they used to always release them on date. The case I ordered for it has been collecting dust for more than a month now, and I fear it'll keep on doing so until I go to the US.